I've had a bit of a struggle with my monthly film posts. I misplaced a roll of exposed film and I wanted to keep things in order so I waited until I found it to post anything. I've also been using my mom's old 35mm a lot. When I bought film for it I didn't realize I bought a box of 5 rolls all with 36 exposers. Unlike most people, I don't like massive amounts of exposers. I don't even have big memory cards for my digital cameras. My brain works better on scarcity. I'm from the world of film. One "scene" would be twelve exposers. When you changed the roll you would have to refresh and look at the scene again or move on. When I don't have that physical stoppage to change the roll or change the card, I can waste a lot of time on something that is not working or on something I've already worn out. Speaking of wearing something out, there is a lot of Nashville skyline this month. I think I will fully explore every angle and time of day outside my window before all this is over. 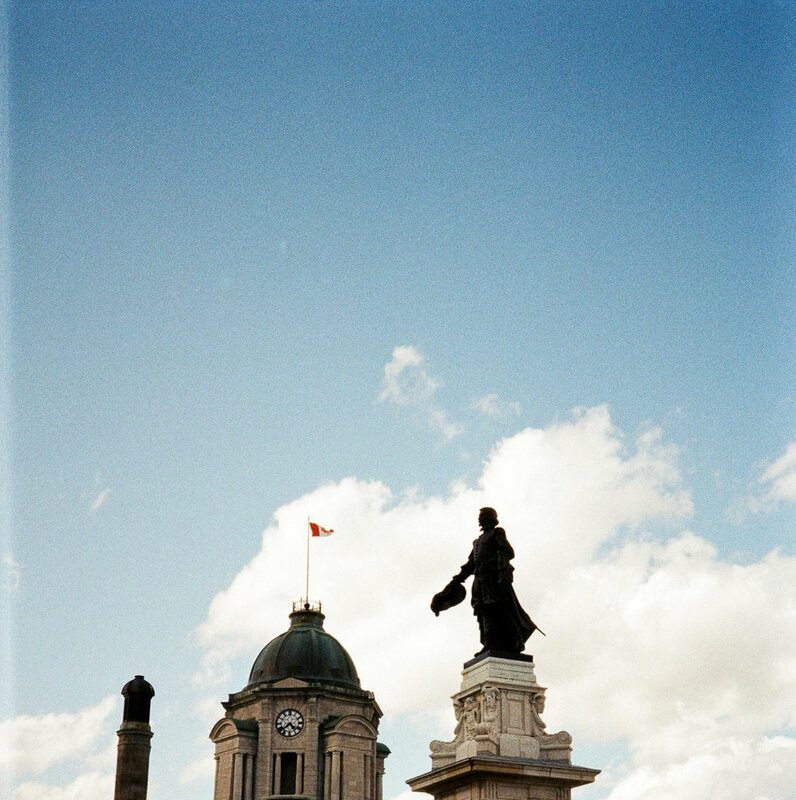 There are a few from Quebec City ( the lost roll) and I wish I had taken more but the weather didn't cooperate. I'll just have to go back!